As a young adult, Dr. Abbassi received recognition from the President of United States (President W. Bush) for outstanding Academic Excellence and earned admissions to UCLA and UC Berkley with Achievement Scholarship Awards. He graduated UCLA with a bachelor's degree in Biology and a minor in Near Eastern Languages and Cultures. He obtained his Doctorate in Dental Surgery from USC School of Dentistry as one of the most recognized students by the clinical faculty. He was one of the very few selective students in the Oral Maxillofacial Surgery Department and Special Patients' Clinic. He is also one of the only students to be invited to return as a faculty immediately after graduation. Although he enjoys all aspect of dentistry, his passion is cosmetic dentistry. 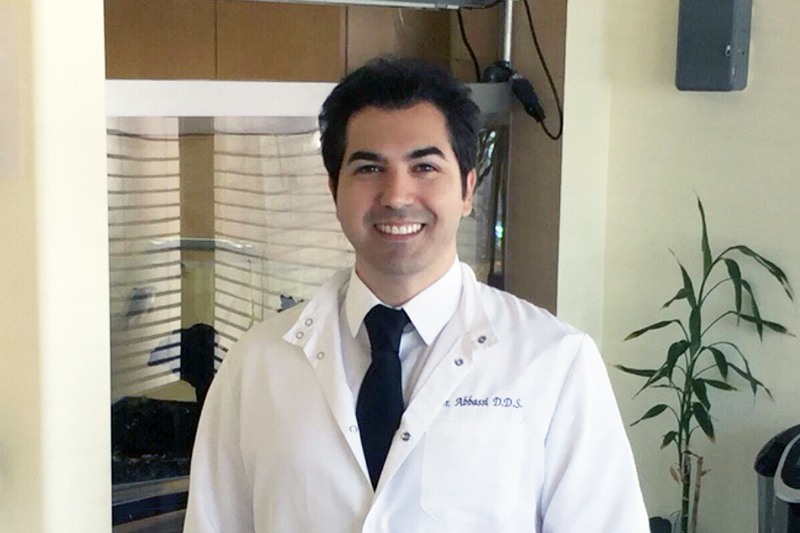 He is a firm believer in treating everyone with utmost respect, providing excellent quality dentistry with the best materials, and educating patients about their treatments. On his free time, as a licensed pilot he enjoys flying small airplanes, playing piano, building sculptures and performing magic.